Spaghetti Squash!!! Y'all this is the coolest vegetable ever. 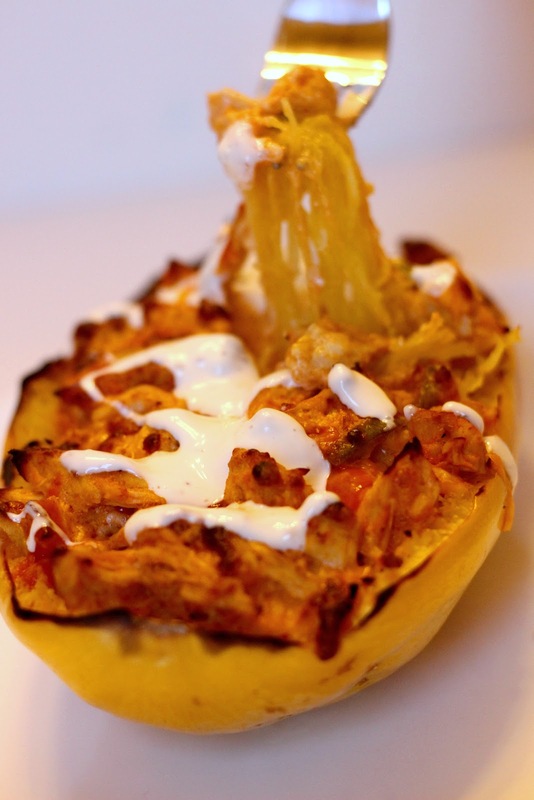 I found this site on Pinterest that has a ton of Spaghetti Squash recipes and decided to try the Buffalo Chicken recipe which can be found here. Y'all will love this recipe. It is super simple to make, and although it does take some time, one spaghetti squash can easily be 2-3 meals. It tastes just as good reheated and eaten another day!